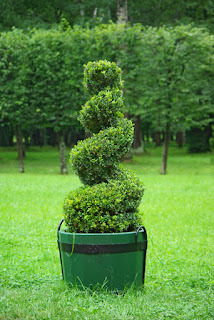 A bad witch's blog: Can Artificial Landscaping Products Beat Real Plants? Can Artificial Landscaping Products Beat Real Plants? People enjoy being in nature. Studies show that when people are surrounded by natural greenery, they become more relaxed, but also more energetic. This doesn’t just mean going for a walk in the countryside at the weekends – having plants around us in our working environment is also important. Any good employer will realise that it not only keeps their staff happy, they will also be more productive. 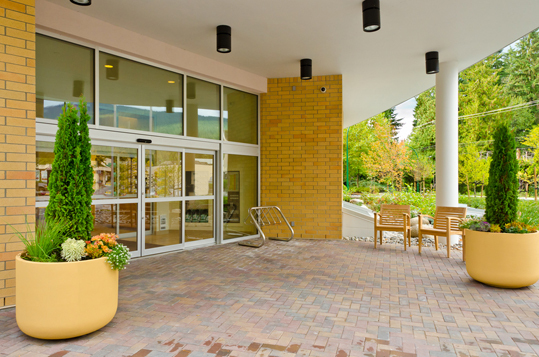 Outdoor landscaping is also of prime importance for any type of commercial setting. If you ask the owner of any business how the space outside their premises should look, they are likely to say it should have some greenery. It has to be attractive as it is the place customers, clients and guests see first. Good landscaping in front of the building helps draw more people to the business and so generates more revenue. Whether it is a corporate head office, a government building, a shopping centre, a hospital, an amusement park or a hotel, enhancing the outdoor spaces with live trees and plants gives it a soothing appearance. However, the delicate pinks and whites of spring blossom and the rich colours of summer blooms are only seasonal. In autumn the flowers wilt, and in winter the flower beds and branches are often stark and bare. Real plants are also delicate and needs regular care to keep them looking good. One of the most essential requirements of commercial landscaping is that the maintenance should be minimal. While live plants might not fit in stretched budgets, artificial trees and plants might. And, with the latest technology, they can look exactly like their live counterparts. So, while no one is suggesting replacing natural forests in the countryside with artificial trees, for a built environment fake trees for outdoors can be better than living plants. 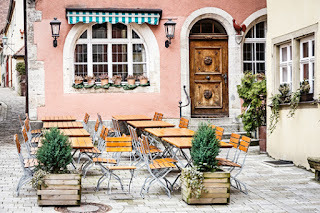 It is hard to overestimate how having a fabulous outdoor area in front of a building will impress potential customers. The plethora of options available for artificial outdoor plants and trees means it is possible to create an alluring outdoor landscape quite easily. You can use green walls, plants, flowers or whatever fits the landscaping theme. You can also mask eyesores - such as mobile phone masts or posts - with feature trees. Natural plants have a definite size and shape, which can’t easily be changed. However, artificial trees for the outdoors can be customised to any size or shape to fulfil any landscaping requirement. If you let the manufacturer know your space constraints, you will get trees that exactly fit your commercial outdoor area and give it a classy look. Artificial trees and plants, including silk hanging baskets for outdoors are realistic. Available in customised sizes, they can be made to fit any location. Replicating their natural counterparts in appearance, they make a great landscaping statement wherever they are used, be it a luxury hotel patio or the exterior of an exotic spa. Live plants are a big hassle for a business premises. You have to prepare soil, apply fertiliser, water regularly and spray pesticides. With fake topiary plants you don’t need to do any of that. Although some real plants are evergreens, most only bloom in a particular season. When you use artificial flowers outdoor, you are free from such worries. They maintain their lush green appearance all round the year and their blooms never wither. Just dust them with a soft cloth to keep them looking their best. The latest generation of fake large plants and smaller ones will not fade in the sun, wind or rain. Manufactured from prime quality plastic, they are designed to withstand harsh outdoor conditions. They are fade resistant using innovative PermaLeaf technologies that involve impregnating the foliage with UV protection chemicals during the manufacturing process. They never turn yellow or fade and you are assured of an evergreen environment at all times. The artificial trees and plants have a very long shelf life. If you don’t need them immediately, you can store them for months - something not possible with live plants. Do not attract pests such as insects. Are less likely to be used as a toilet by dogs and cats. Realistic landscaping products often cost less than live plants. Moreover, they save on maintenance costs and, being a one-time investment, are more economical than natural plants. So, while nothing can beat spending a day out in the countryside relaxing in unspoilt nature, artificial plants offer a similar psychological boost, and are practical, inexpensive and offer all-year-round appeal in the built environment.